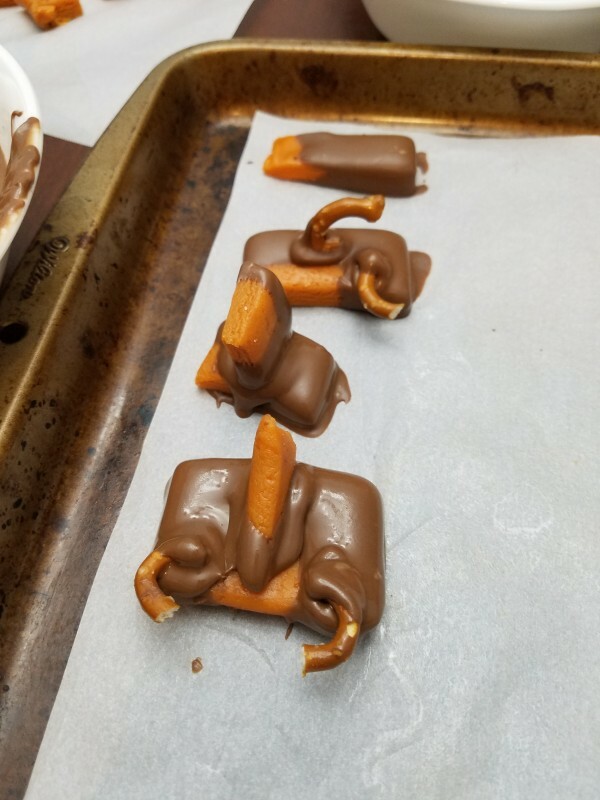 Halloween is one day away and we were making chocolate covered treats for a party. 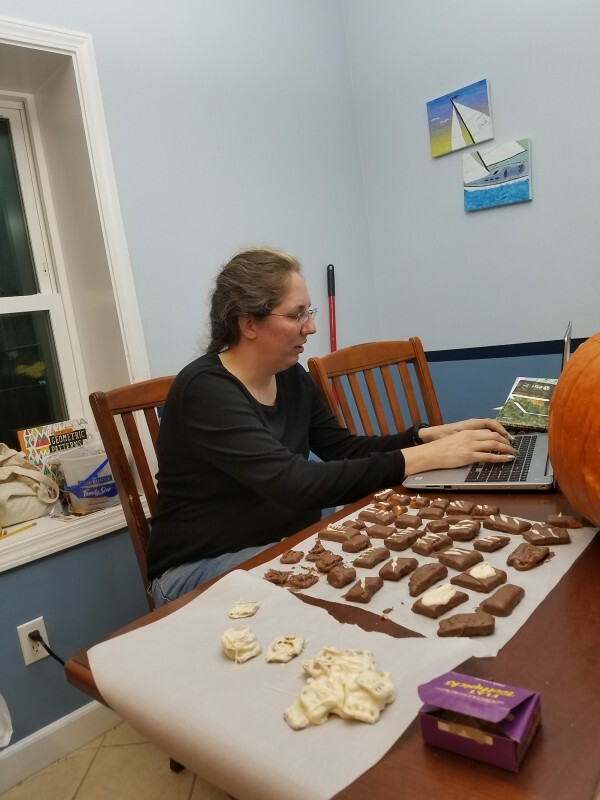 Danelle with some of the normal treats. 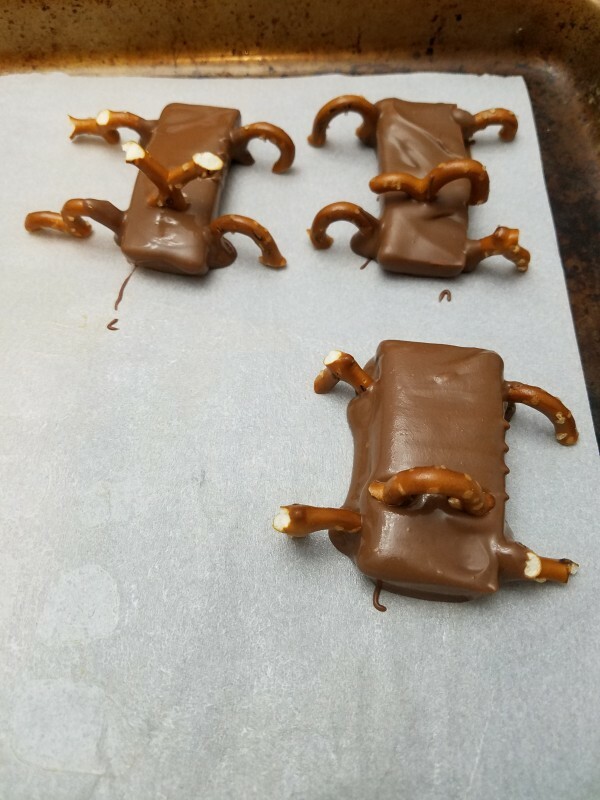 I decided to have some fun and make some special creepy treats. 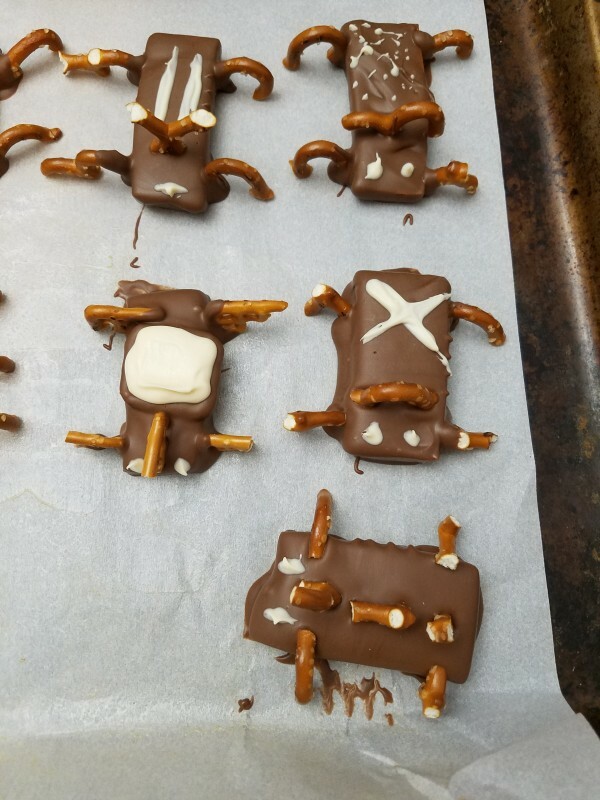 I started by breaking up some pretzels to get some different shapes, then I made my creepy treats.